Our luxury chess plinths are as iconic as the game itself, hand bound in leather on our signature scallop-sided plinth. 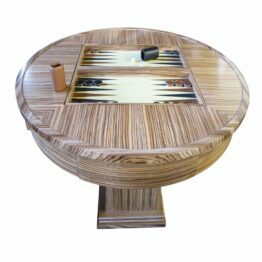 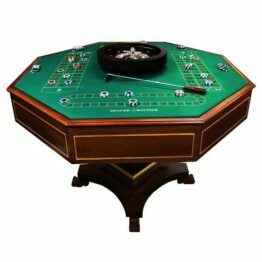 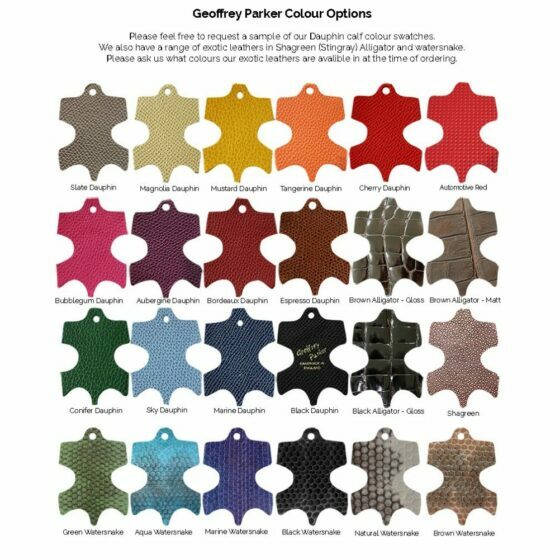 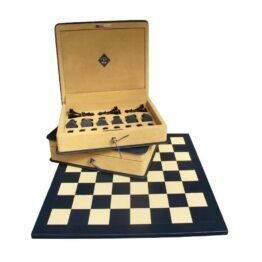 These sets are available in our specialist gaming calf leather and exotic water-snake across different sizes & styles of chessmen. 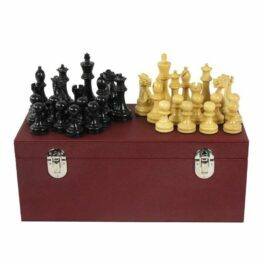 Our custom chess set is perfect for a player of any skill level; for those who love a game in the evening to those who play competitively. 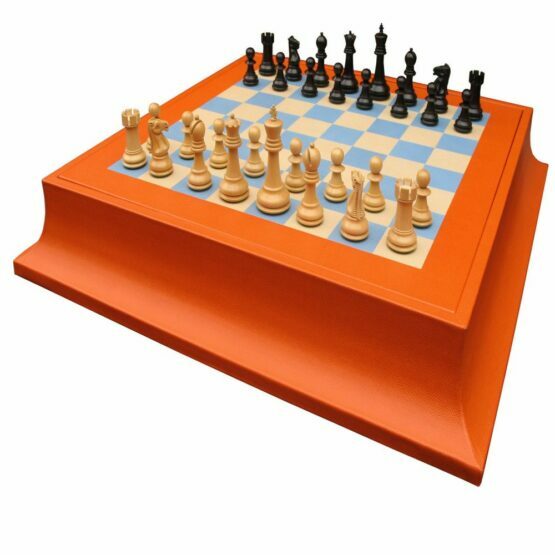 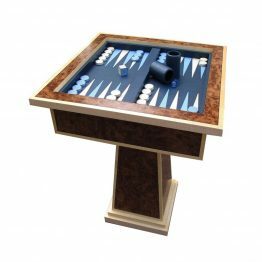 Handmade to order these chess sets are nothing short of beautiful; created to stay on display they can take pride of place in your living room inviting all to play. 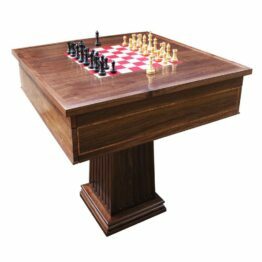 This stunning board features our classic Staunton chess set which works harmoniously with this beautiful piece of leatherwork. 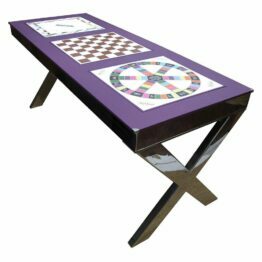 A hand inlaid leather chessboard sits inside the plinth which then is pivoted up to access the chessmen stowed snugly in their individual black felt compartments. 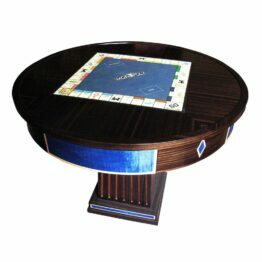 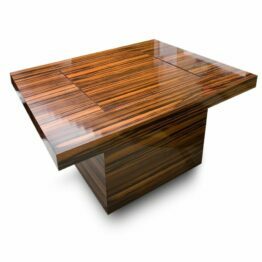 As with all our products, this board is handmade to order. 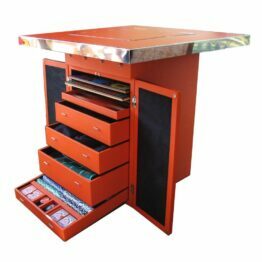 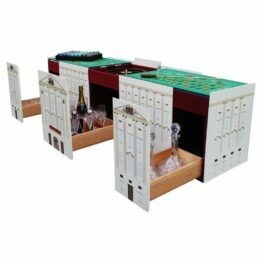 This enables us to offer a high level of customisation, but it does take time to make.